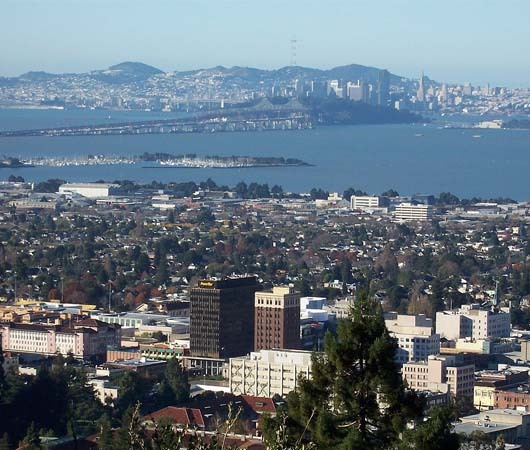 Berkeley is a relatively small city, but is blessed with a wide range of neighborhoods. Celebrated for its cultural diversity, dynamic academic life, and gourmet restaurants, it is the college town sensibility that unites the city into an interesting and exciting place to call home. Famed for the Free Speech Movement of the 1960s, these days Berkeley is also known as a haven for the epicurean delights of the North Berkeley neighborhood known as the Gourmet Ghetto. Here, people from all over the Bay Area come to sample foods from the nationally acclaimed Chez Panisse Restaurant, drink coffee at Peet's Coffee and Tea, and wait in long lines at the Cheese Board Collective.